In case you missed it, Easter is sneaking up on us early this year and is on March 27th! Are you like me and you automatically assume Easter falls in April or at least later in March, if so it’s time to get crafting for Easter if you haven’t already started. When creating DIY paper crafting projects for Easter there are so many cute themes to choose from like bunnies, chicks, eggs, carrots, and flowers. 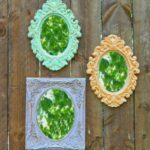 Unlike the previous holidays of Christmas, Valentine’s Day and St. Patrick’s Day where there is a set color scheme, with Easter projects you can choose to create your projects in a variety of colors in pretty pastels or brighter hues. Dig into your stash and pull out all of the pretty papers! 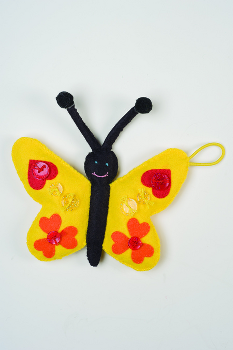 So what will you be crafting for Easter this year? 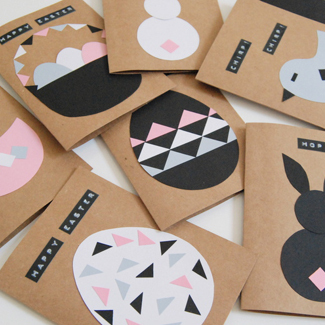 Will you be creating your own paper Easter baskets? If you are hosting Easter brunch this year you could make Easter treat boxes for your guests to take home. I know I have said it before, but it just isn’t a holiday until you have created a paper garland (or two or three!). If the Easter time crunch this year leaves you with limited crafting time, use that time to create Easter cards for your friends and family. Below are 10 of my favorite Easter card tutorials that range from super simple (so you can quickly create multiples) to more advanced designs and techniques. Hop over and check them out! Plastic or real eggs, which do you prefer for your Easter egg hunt? Easter is fast approaching! I’m excited to share this project with you because I feel it’s the best banner I’ve ever made. Start with simple white paper and layer other colors. 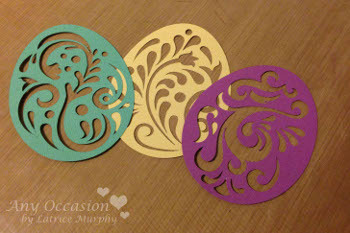 Start off by either die cutting or using a template for all of your pieces. I chose four shapes from Silhouette for my banner. Next, you can start layering the pieces. 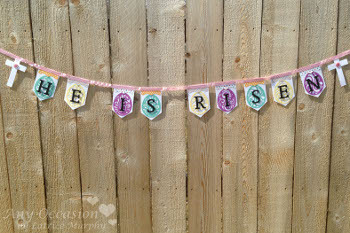 This one was banner piece, bracket topper, fancy egg and then the letters were attached with 3D squares for dimension. 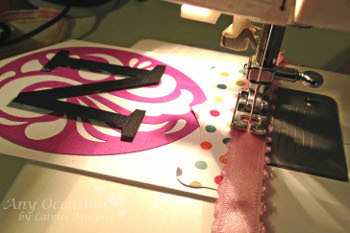 I prefer sewing my banners together, but you can also use a stapler for this part. Finish the banner off with a couple buttons on the crosses and a small gemstone on the bracket toppers. Hang with pride! This post is brought to you by Latrice Murphy from Any Occasion. Hey there, FaveCrafters! 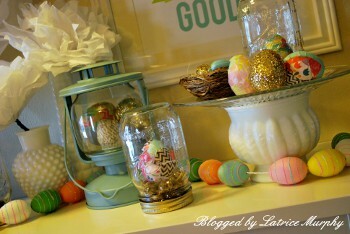 I’m happy to be back on the FaveCrafts Blog today to share a super quick Easter decor tutorial. 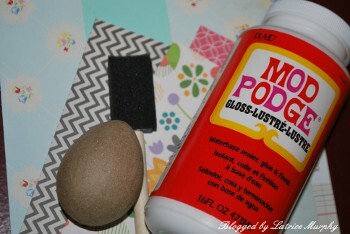 I have three ways to create Easter eggs using supplies you probably already have in your craft studio. This first egg is the easiest. 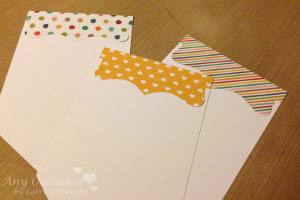 You grab your Washi Tape collection and just add small strips to the egg. Once totally covered cover it with Mod Podge to secure it for years to come. This one is pretty easy too, but I’m going with a new trend this time – GOLD! 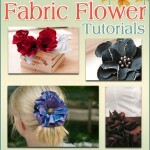 It has made a serious comeback in the fashion industry and paper crafting. I’m not usually a fan of gold, but seeing it mixed with color has turned me. 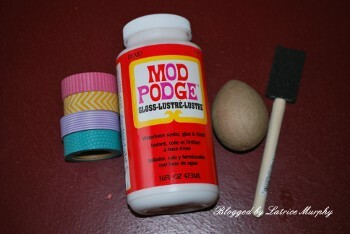 Start by liberally covering your paper mache egg with Mod Podge. Next, pour some course glitter in a bowl and toss your egg in and roll it around. Let it dry completely before adding it to your decor. 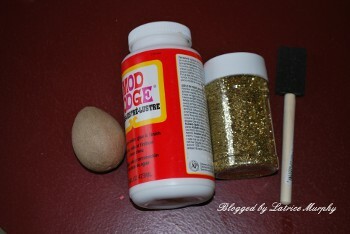 You could also go back over the egg with Mod Podge to secure the glitter, but it’s kind of messy so I left mine as is. Lastly, we have the artsy egg. 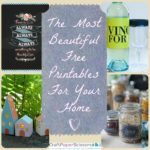 I love decoupage art because you can play with layering. I grabbed some of my spring scrap paper and tore it into little pieces. I also tore up a piece of vintage book paper. I then did the same step as the Washi Tape egg. I added Mod Podge first and then smoothed the paper pieces on and in the end went over the entire thing with Mod Podge to secure it all. It only took me about 1 hr to make 12 different eggs and to get them into the jars. 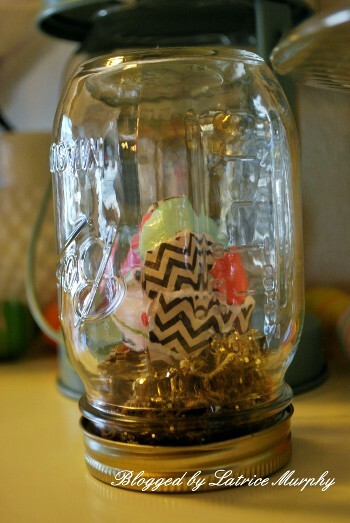 Visit my blog to learn how to make the jars. I couldn’t help myself, I had to turn Happy into Hoppy because things are hopping! Spring has sprung! The birds are chirping about it! The bees are buzzing about it. And the butterflies are fluttering about it. So Happy Easter! Many of you have been hunting eggs and baskets! Some of you are feasting on lamb, ham, and a grand roast! It’s side dishes and desserts abounding to tempt us! I say no more snow! No more chill or freeze! It’s time for the sun to come out and play with us all summer! 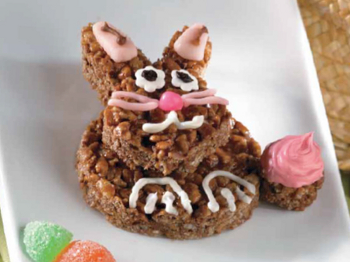 Share your Easter traditions with us! We want to know! 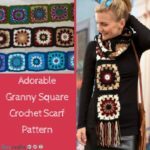 Here are some exciting projects new for spring! Seems like Peeps are popular! I did a little FaveCrafts 365 on our family debate over fresh or stale Peeps and you guys opened the door to even more Peeps adventures by suggesting microwaving and freezing Peeps! Wow! I enjoyed both! This v-log report explores the amazing possibilities for Peeps! Any more suggestions? Just leave a comment! 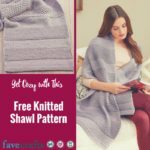 Original FaveCrafts 365 Peep report. Here is a link to a video showing you how to microwave a Peep. Pom Pom Chickies to make by the dozen and just make you smile, so easy to do! 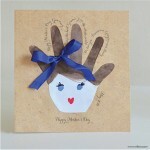 Glittering Chicks Card is fun and such a cute project for kids. Spring Chicks to sew and adore. It’s a quickie project! 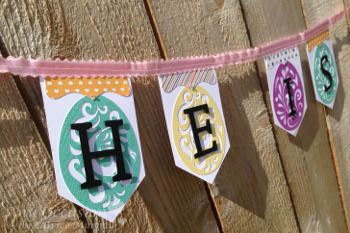 Is it just me, or do you like crafting for Easter more than for any other holiday? Everyone always gets so pumped about making Christmas ornaments and wreaths and stockings, but for me, it’s all about dyeing eggs, making stuffed bunnies and creating the most adorable Easter baskets ever. There’s something about the warm Spring weather, the trees blooming, and my favorite pastel colors reappearing in store windows… all of it just makes me happy and want to CREATE. 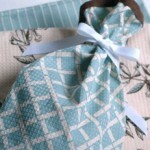 Well, the editors of AllFreeSewing.com just made my day with their new free eBook, 8 Easter Sewing Projects. There are some really great ideas inside. 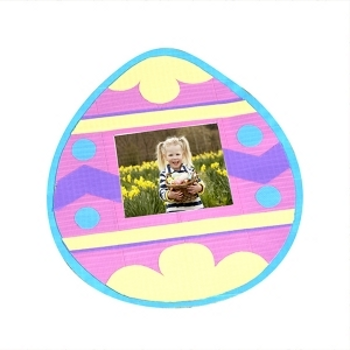 I can’t get over how cute the Easter basket sewing pattern is! I’ve made my fair share of Easter baskets, but I’ve never seen one like this. It’s more like a soft tote bag than a traditional Easter basket, but that just means you can use it all season long, and not just during your Easter egg hunt! 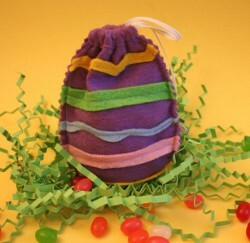 My other favorite project from this awesome collection of 8 Easter sewing projects is the little felt Easter egg jelly bean bag. 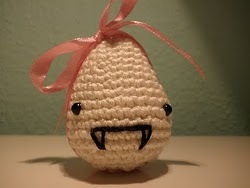 I’m planning on making a bunch of these to give out at my Easter brunch. They’re great for kids, but I’m pretty sure the adults will love them too. 😛 These adorable Easter crafts are perfectly sized for jelly beans, mini chocolate eggs, or any other Easter candy you can scrounge up. I’m also thinking of making a couple to use as Easter decorations around the house. What better way to celebrate than with these sweet and simple crafts for Easter?! If these Easter projects have inspired you, you can download the FREE eBook and check out all eight sewing patterns. 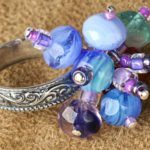 But don’t wait too long… there are less than two weeks until Easter, so the time to craft is now! 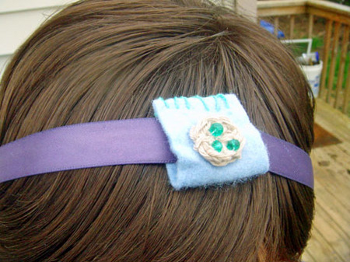 What kinds of crafts do you like making for Easter? Please egg-cuse my awful puns, but I couldn’t resist. They just come rolling out of me this time of year. If you’re like me, coloring eggs is your favorite part of Easter. I remember when I was little I would force both of my parents to spend time with me in the kitchen while I drew on eggs with that weird white crayon and then colored them in the corresponding colored cups. Occasionally, I would would watch as my mom shrink wrapped those clear plastic designs around the eggs, less intrigued with the design and more intrigued with the fact that plastic shrinks in heat (still intrigued I should say). My dad, old fashioned as he was, would always color eggs in onion skins and they would come out to be a rich brown color. At the time, I always thought that mine looked prettier. 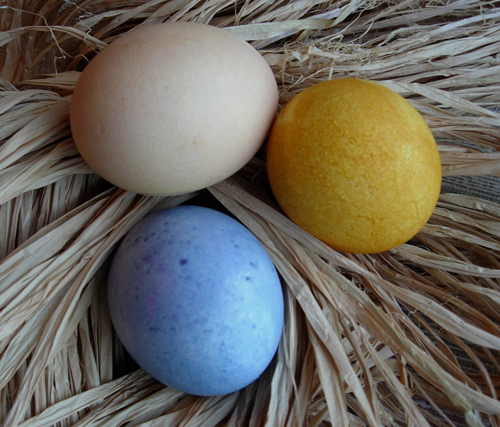 Now that I’ve grown up, a bit, I miss those dark brown eggs every Easter, but at the same time I want something Spring-y and colorful. Leave it up to FaveCrafts to figure out the answer for me. 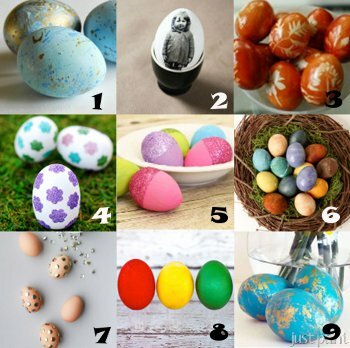 In the new Easter Eggs: Easter Egg Designs, Tips for Perfect Hard Boiled Eggs, Egg Recipes there are several adorable ideas for coloring eggs, including a couple ideas for dying eggs naturally. I was super excited when I found it. This year, instead of having the same old brown eggs, I can add beautiful, delicate flower details to them. I love how these eggs turned out in the picture. 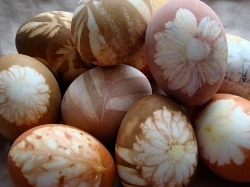 Who knew you could pull off such professional looking eggs with onion skins and flowers? Mine, of course, will probably not turn out to be as well done, but I’m sure they will be pretty anyway. Well, if they come out looking horribly, I can still make pretty solid colored eggs using blueberries and beets from the tutorial on How to Naturally Dye Easter Eggs. I ask myself, why have I never thought of this before? I guess when you learn something at a young age one way, thinking outside of the box becomes nearly impossible. Anyway, I’m really happy I found these projects because I can dye my Easter eggs the old fashioned way my dad used to and still get all the fun colors I love. 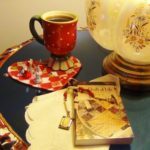 Oh, another wonderful point about the free Easter Eggs ebook: included are recipes for delicious meals to make with your hard boiled eggs after Easter is over. No need to let all your hard work go to waste. Thanks RecipeLion! How do you normally color your eggs?